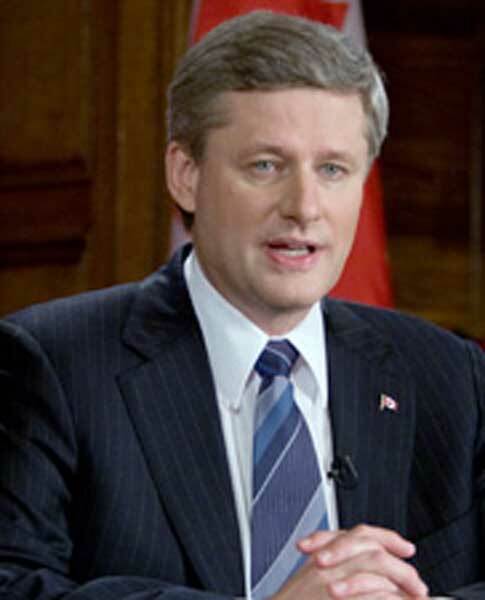 Whether it be dissolution or prorogation Stephen Harper will be making a 180 degree volte-face should he advise the Governor General otherwise than this he gave in 2004 : "should a request for dissolution arise this should give you cause, as constitutional practice has determined, to consult the opposition leaders and consider all of your options before exercising your constitutional authority." In acting to attack Liberal and NDP collusion with the Bloc, which he did in the Sept. 9, 2004 letter to the Govrnor General, and which has had its most virulent manifestation to this point in these words of Bob Dechert, Member - Mississauga-Erindale "That is as close to treason and sedition as I can imagine," there is consistency with precedent. The 1997 strategy of his party was enflaming tensions between Canada's two linguistic groups through lawn signs reading "No more Prime Ministers from Quebec." in order to seek to win enough seats outside the Province of Quebec to form the Opposition. Consistent as well is spending monies surplus to those that could be used in an election due to Canada Election Act limitations. In this instance serves the purposes of shaping the publics' opinion that separatists have "the balance of power" in the coalition, that a government with majority support of elected Members of Parliament in the House of Commons would be "overturning" the result of the election by the "back door" and through asking listeners "shouldn't you get to decide? ", the view is developed that an election must be held if democracy is to be served. Stephen Harper's responsible precedent he will ignore. The divisive ones are in full spate.